I always like to be well-prepared for a new patch, and given that my guild is aiming to progress quickly through the Dragon Soul normal modes, I want to be sure I’m prepared to hit the new content. I thought I’d share my last-minute preparation process with the world. This is down as Step 0 instead of Step 1 because I do regard this as semi-optional. To be as ready as possible it does help to get on the PTR and get a feel for the new content and how your class changes work in practice. More importantly it also helps Blizzard get the game as wrinkle-free as possible before the patch goes live, making for a smoother experience and fewer of those annoying restarts and maintenance issues that we all enjoy so much(!). That said, some people don’t like playing buggy or non-final content, others would rather not spoil the surprise, or maybe, like me, you’re on a capped, low-speed internet package and an extra 16GB download just wasn’t an option. In which case, make sure you follow the remaining steps even more thoroughly. If you usually bypass the Launcher, or if you have downloads turned off for another reason, make sure you turn the background downloader on in plenty of time to receive the new patch. It can be several gigabytes, and you really don’t want to be panicking about a humongous download five minutes before you’re due to raid. Get prepared well in advance and let the downloader do its thing, so you’re ready to go on release day. While there have been versions of the patch notes at the PTR has progressed, it’s always worth checking the official patch notes too, in case any last-minute changes have snuck in. After that, check the Technical Support forum for any Known Issues lists, and it’s often worth checking Wowpedia’s lists of undocumented changes, which are updated frequently in the early days after a patch comes out. Finally, you might try reading blogs or posts from other people who have been testing the new patch. Usually the top guilds are very active on the PTR and will test their class in depth, so they are good sources of information. For example, for healing Priests Dawn Moore of WowInsider put together a this great, handy guide. All of this helps prevent you looking silly when a spell doesn’t do what it used to, or costs more and causes you to run OOM, or your stat priorities have shifted, or countless other ways a new patch can catch you out. And for raiders, don’t forget to find out about other classes as well; for healers, that means knowing how the patch is going to affect your fellow healers and even your tanks. For example, Wild Growth is getting a small nerf this patch, while Paladins’ Holy Radiance is being dramatically changed from a caster-centred AoE HoT to a spell with a 3 sec cast time which is placed on a target and which heals them and all group members within 10 yards instantly, and continues to heal them by a smaller amount every 1 sec for 3 sec. What this means is that Paladins now have very powerful (albeit very expensive) burst AoE while the raid is grouped up, and will probably push them towards a raid-healing role in certain fights, rather than being the default tank-healer. If you’re going to be raiding soon after the patch is released then you should have at least a basic understanding of what the fights will entail so you can prepare your character’s spec and glyphs, pull out any rarely-used spells, and generally not be surprised when it hits you. Learn2Raid and Icy Veins are two sites that have PTR strategy guides and videos to read and watch, and there are many more. Shameless self-plug: Part of my preparation consists of not only reading and watching guides to the fights, but I also like to think about them and then synthesise a new guide; the process of re-writing helps to make sure I understand what I’ve read, and also gets me thinking about how my class fits into the encounter and what affects me the most. Now you’ve got your knowledge base assembled, but before you log into the game, you should visit the main addon sites and update any addons you use, especially ones you rely on heavily such as DBM. With boss mods, it’s important to download the alpha or beta package if it’s available because that will have the very latest updates, added sometimes on a minute-by-minute basis. Get it from the authors themselves too, even the beta versions on Curse are several revisions out of date, and that all matters when you’re pushing progression. And forget about the “release” version. 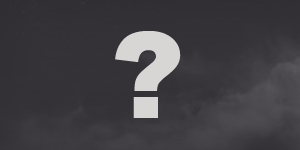 DBM’s release package is usually not updated for as much as a couple of weeks after a patch is released, so that the authors are absolutely sure it’s correct before stamping it with the official seal of approval, which can leave you with a very underwhelming boss mod for the first lockout. Beyond boss mods, many authors, particularly those responsible for the popular addons will have been on the PTR to test their code and if at all possible they will make sure it works smoothly on release day. And don’t forget to update again before your first raid, because there may well be a number of addons that have been updated during the day. And don’t forget to tick “Load out of date addons” on the addons page of the character selection screen; many addons do not need more than a version update to work fine with a new patch, but you can always disable those which are problematic. If you want to be extra-safe you can have backups lined up, just in case one of your addons doesn’t work and hasn’t been updated and you need a replacement. XPerl or Shadowed Unit Frames instead of Pitbull, for example, or VuhDo instead of Healbot or Grid. And finally on this subject, if an addon you use isn’t updated, don’t go and rage about it, especially not to the author(s). They make addons for nothing, and it’s something they do in their free time. If you can offer practical help that may be welcomed, but otherwise just wait patiently and trust that the addon author is working on it. Gear lists abound just before a patch, so they’re a good place to start. In the early days the priority isn’t to get your Best in Slot, just to get your gear upgraded as quickly as possible; BiS can come later when you’ve got more time to spend. So at this stage you’re looking for the low-hanging fruit, the quick gains, and that means the Auction House, the 5-mans, anything that can be bought with Valor Points and anything you didn’t get round to buying in 4.2 which you can now afford thanks to it costing Justice Points instead. In 4.3, the new 5-man instances drop ilvl 378 gear, the same as normal mode Firelands, so look down the lists and see if there’s any items that are either a direct upgrade to your current gear or which are better-itemised than what you’re currently wearing. For Tellisa I’m considering going for the Foul Gift of the Demon Lord as an alternative to my normal Jaws of Defeat for a output boost, and perhaps the Scepter of Azshara so I have an acceptable main-hand if an off-hand drops while raiding. Because of the VP cap the only thing that will be purchasable in the first week will be the wands/thrown/relics at 700 VP each. If you’re running a few 4.3 5-mans anyway you may be able to pick up an upgrade, but remember these are ilvl 397, so if you have an ilvl 391 version already from the last tier you might be better off saving your VPs and getting a bigger upgrade in week 2. I know what I said earlier about ignoring BiS, but 6 ilvl points on a relic slot really is a miserly upgrade. 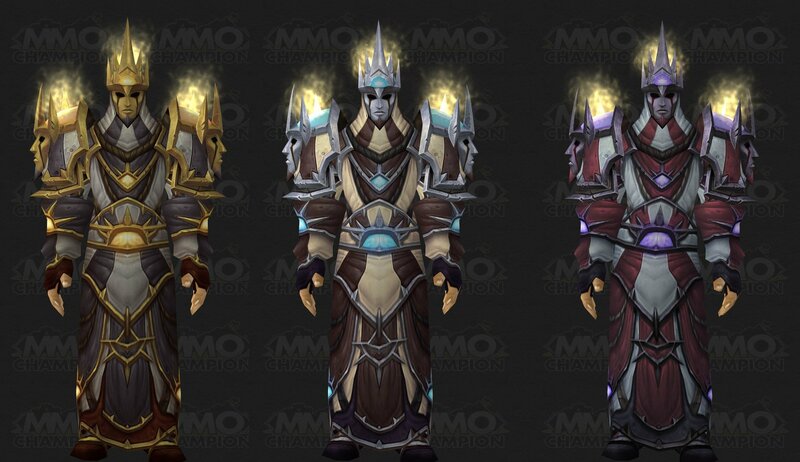 As for BoEs, don’t count on getting your hands on the craftables (Dreamwraps of the Light and World Mender’s Pants, for healing Priests) in the first few weeks because it’ll take time for the patterns and the Essences of Destruction to drop, and guilds will tend to gear up internally first before putting these items on the AH. There are some other BoEs listed on Wowhead; although they don’t have a drop location yet they probably come from Dragon Soul trash. For healing Priests the Sash of Relentless Truth looks promising, for example. Early in a new tier the raid trash drops are either very unavailable or very expensive, but if you have deep enough pockets you may just get lucky. Edit: There is also the Drapes of the Dragonshrine, a drop from the Hour of Twilight, which might be useful if you haven’t got the Avengers of Hyjal cloak yet. However much or little you need to gather, the key thing is to have a plan so that you can focus your time on the most valuable things first. The final piece of advice I always follow is to log in as early as possible, even if you then /afk in Stormwind while you go off and do whatever it is you usually do before your evening WoW session. There are multiple reasons for this: you might find you have more data to download, in which case you either have time to download and install it or you have time to let your guild-mates know why you’re running late; there might be a queue for your realm if it’s high population and there’s a lot of people itching to jump back in; you might log in and find your UI is a total mess and needs addon replacement or setting up again; or you might need to respec or reforge. All of these things take time, and you don’t want to be doing them in a rush because it’ll only spoil your enjoyment of the new content. You’ve done the prep work, you know your class changes and what the new raid, dungeons and other content has in store for you, and your UI is working beautifully. Now you’re ready to get started exploring the new content. The last couple of days saw not only the announcement of the much-anticipated (at least around here) Tier 13 Priest gear and set bonuses, but also the more widely anticipated 4.3 PTR patch notes. Also available in tasteful blue or red, depending on your raiding tier of choice. Healer, 4P — Your Power Word: Shield has a 10% chance to absorb 100% additional damage and increase the mana granted by Rapture by 100%, and the cooldown duration of your Holy Word abilities is decreased increased by 20%. Source | Changes from the first iteration of the bonuses are crossed out or in bold. Before we delve in, a public health notice: these are very early ideas, are almost certain to be changed (as indeed it has already), and so on, you know the rest. I don’t usually like dissecting such early information, but it can be interesting to see where the developers’ thinking is on the subject. The 2-piece bonus is still a head-scratcher at first glance. It’s been pointed out on EJ and elsewhere that this presents Disc Priests with something of a question: should we be casting Power Infusion on cooldown just for the mana reduction, or should we be saving it for when we actually need the throughput. PI has a split personality already, with the throughput and mana saving components. I find myself mostly using it as a throughput cooldown, popping it when I shift to the AoE-heavy part of a fight; I benefit from the mana reduction too of course, since PoH and PW:S aren’t exactly cheap, but the driver for its use is throughput, not mana. If you really want to theorycraft the bonus you have to consider each fight, the circumstances in which you might want to use PI as a throughput cooldown and consider the opportunity cost (in mana) of keeping it off cooldown for special occasions rather than auto-casting it; that difference changes the on-paper value of the set bonus. I doubt you’ll decide to skip the bonus in favour of off-set gear because of it, but I do expect the numbers to go up a bit following real-world testing, to give a higher actual-fight MP5 equivalent. Of course, those high-throughput moments are precisely when I’m likely to be hitting my expensive spells, so in that sense the bonus has some logic to it, it should help me get the best value from it. The Holy bonus doesn’t seem to have the same logic though; Lightwell isn’t really something you save for a sticky moment, I’d have thought you’d use it more or less on cooldown anyway. I can’t think of a better choice of spell off the top of my head though. Lightwell has now been changed to Divine Hymn, which is a better choice – a spell associated with a high-throughput moment where you will be casting big, expensive spells. The 4-piece bonus for Discipline is, for me, uninspiring really. Every 10 times you cast PW:S (on average), it’ll absorb twice as much and give a double-sized Rapture proc. Now this in itself is a decent bonus: even raid-healing Disc Priests bubble someone at least every 12-15s for Rapture, so as long as you’re using PW:S regularly (probably on a tank to make sure it’s used) you should get the benefit. This may slightly penalise the use of PW:S as a pure raid-healing spell though, because a larger bubble is less likely to be totally consumed and possibly end up preventing what might otherwise have turned into a Rapture proc. 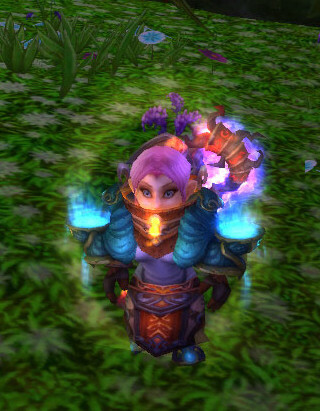 Raid healers might think twice depending on their typical usage of PW:S, but for tank-healing it’s a solid bonus. My problem is that in essence it’s a slightly unreliable but passive throughput and regen boost. I don’t object to fire-and-forget boosts, that’s what my Cauterising Flame is after all, but they don’t excite me much when I can’t see them except on the meters. Aesthetics aside it’s a good bonus for a tank healer, and it’d be decent even for a raid healer because PW:S is fairly sparsely used anyway I’d just hoped for something a bit more fun.The 2-piece seems designed either to take advantage of or to encourage a more frequent use of Power Infusion and Divine Hymn, while the 4-piece is a simple output and regen boost as long as you use PW:S regularly. For Disc, the big change of course is the new Divine Aegis bubble! Ahem. Yes, unfortunately when I logged into the PTR client today it looked exactly the same as the PW:S graphic still. I’ll keep you posted if it changes though. Finally, a small buff to Divine Hymn for all Priests, with it healing 5 targets rather than 3. That should help its throughput for both specs, although Holy gets a much improved version as their new raid cooldown: double the healing and a 3-minute cooldown means Holy has its own Tranquility to play with. Now my initial reaction was (of course) to get all angsty and bitter, but actually there have been several fights where I’ve felt I could have been more comfortable as Holy but ended up muddling through as Disc because of the combination of PW:Barrier and an AoE phase. Now that Holy gets a powerful raid cooldown of its own the dual-spec option opens right back up again, and that can only be a good thing for the class. It’s no nerf to Disc, just a rebalancing of the specs in the sorts of bursty fights where Disc currently dominates because of a single spell. GC agrees. A short post, mostly for historical reference, looking at how the 3.3.3 patch has affected healing for the four classes. This patch mostly focuses on PvP and bugfixes, but there are a few small changes which will affect PvE healing. 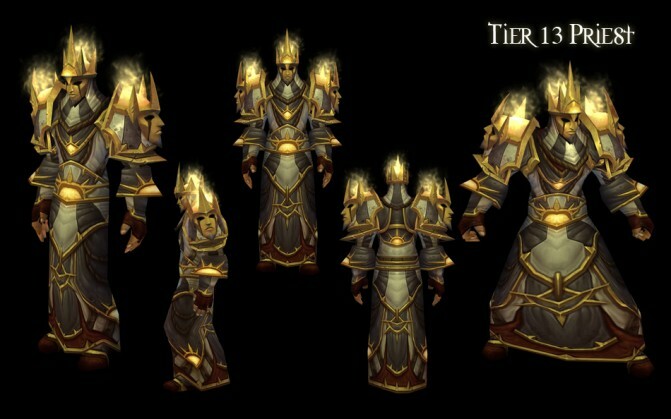 The big change for priests is that the Tier 10 4-Piece Set Bonus has been changed. This has been discussed elsewhere already , so I’ll refer elsewhere for the detailed discussion. The short version is that the proc to reset the Penance or CoH cooldowns is gone, replaced by a flat increase to Power Word: Shield of 5% and to Circle of Healing of 10%. Personally, having played as a Disc Priest with the old 4-piece bonus briefly, I think this is a slight loss to flexibility and 10-man Disc healing, but probably a boost to 25-man healing which is more bubble-heavy. Shame they gave us this at the same time they changed Incanter’s Absorption though. Also applicable to Disc Priest is the fix which adds PW:S to the list of abilities affected by Hellscream’s Warsong / Strength of Wrynn, along with Sacred Shield for Paladins. The change to Renewed Hope, giving it a 60-second duration, up from 20 seconds, but a 15-second cooldown, is part of a general change aimed at reducing the constant refreshing of on-proc buffs, and reducing the chance of these buffs falling off. Basically a neutral change, although it may have minor performance benefits. MSBT is breathing a sigh of relief anyway. Renewed Hope: Applying this spell no longer causes combat pet abilities to trigger a global cooldown. Glyph of Power Word: Shield: The heal produced from this glyph is now more correctly treated as heal for purposes of procing effects that are caused by heals, such as Divine Aegis and the weapon Trauma. Glyph of Prayer of Healing: This glyph will now always heal all affected targets by the correct amount. I’ve not noticed these causing trouble personally, but if you have, rejoice! There is a new bug which has arisen, which can cause Spirit of Redemption form to be lost upon casting “certain spells” (Source). Expect a hotfix soon. Edit: As of March 27th, the 3.3.3a patch, this is fixed. Bati from HolyNovaNow has spotted Divine Aegis being credited with unusually high amounts of healing (>30% of total, for a start) in WoL reports. This might be a problem with WoL and a slightly changed combat log output, since WoL can only estimate absorbs. On the other hand, she also runs with multiple Discipline Priests per raid, so it’s possible WoL is simply failing to separate out the DA absorbs and crediting each Priest with some or all of the DA caused by other players. Generally all’s quiet on the Paladin front. The only change is the addition of Sacred Shield to the spells affected by Hellscream’s Warsong / Strength of Wrynn. I presume the latter is clarifying the 30s shared cooldown hotfixed in over the last few patches. As with Paladins, very little has been changed for Restoration either. It might be worth noting that Flame Shock has been buffed to allow the DoT component to crit and to be affected by haste, so it might be more valuable to DoT up bosses between heals. Earthliving Weapon: Fixed a bug where the glyph was not boosting Earthliving proc chance. Tier-10 Restoration 2-Piece Set Bonus: Rapid Currents will no longer be consumed if Nature’s Swiftness is already active. Tier-10 Restoration 4-Piece Set Bonus: The heal-over-time effect from this set bonus now works correctly with the weapon Val’anyr, Hammer of Ancient Kings. In addition, to prevent confusion, the heal-over-time effect has been renamed Chained Heal. The top one seems pretty major to me. I’d not come across it as a problem, so perhaps it was limited to certain circumstances. No noted changes to Restoration. Solo players might be interested to note that Nature’s Grasp now has three charges, although as far as I know it can still only affect one target at a time. I might actually bother keeping the buff on myself now. Hurricane: If a Druid begins casting this spell while in Bear Form, Dire Bear Form or Cat Form, the spell will now cast as normal instead of immediately cancelling the channel. No mention of Tree of Life Form. I’ll have to check if the fix has been applied across the board or not. It would be great if this is fixed though, for those boring heroics with 6k GS tanks AOE-tanking rooms at a time without the common courtesy to take damage! Edit: tested and confirmed that this works in Tree Form as well. Bye bye /cancelform macro! Lifebloom: The final bloom heal from this spell can no longer trigger talents, trinkets and set bonuses for the player being healed. Tree of Life Form: Corrected a misspelling in the tooltip. Tier-10 Restoration 4-piece Set Bonus: The Rejuvenation effect caused by this set bonus can now be overwritten by the Druid’s own Rejuvenation spell casts. In addition, the combat log tooltip for this Rejuvenation effect no longer spuriously claims it requires Tree of Life Form. Little need to comment on these. I’ve not had the opportunity to play with Druid T10, so I can’t comment on the last bugfix. The first change is interesting. Heals like Lifebloom and Prayer of Mending still seem to retain a few obscure holdovers from the old implementation where they were “cast” by the player they healed, and they get unearthed and fixed every now and then. Not much in the way of encounter fixes either, although the biggie is that the Pact of the Darkfallen on the Blood Queen Lana’thel encounter has been changed to tick twice as often but half as hard, to “make the removal of the spell a bit more responsive”. Sounds like a good change to me, and reducing the impact of that big smash if the three players were close but not close enough can only be a good thing. Basically things which aren’t strictly healing changes, but things I pulled out as interesting. The most healing-relevant change is that a number of on-proc raid buffs have been made passive and longer-range. Shaman totems and Paladin auras are excluded though, by design. Reducing combat log or combat text spam can only be a positive thing, as is making the coverage of these buffs more consistent. The Argent Crusader’s Tabard apparently no longer has a 30s on-equip cooldown. And only six months too late! Still, better late than never. Minimizing the game client while auto-following another player will no longer cancel the follow command. Raid marks can be used without being in a party.